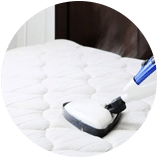 We provide professional mattress cleaning service that is available to all in Kuala Lumpur, Selangor and other parts of Malaysia. Our expert cleaners will steam clean and professionally treat your mattress, to your satisfaction. Why should you engage with us for Professional Mattress Cleaning Services? Our company only uses the highest qualified chemical practitioners and launderers when cleaning your mattress products. 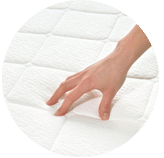 Our cleaning machines work by both applying appropriate chemicals to treat stained mattress areas whilst drying mattresses simultaneously. This method extracts the greatest amount of bacteria, fungus and dust-mites that are present. Our methods ensure that the condition of your mattress is maintained throughout the cleaning operation. How often should I get my mattress professionally cleaned? It is suggested that your mattress should be professionally cleaned every six months. The processes involved within the cleaning process will extend the life of the product. This will ensure that you save the costly re-purchase price of an expensive mattress for longer. 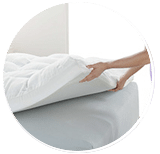 For customers who suffer from asthma, skin allergies and eczema it may be necessary to have bedding products professionally cleaned more often. However, it is customers with allergies who derive the most benefit from this service. How long does the mattress cleaning process take? Mattress cleaning can be arranged in a timescale to suit you. With a range of bespoke treatments being available to treat specific stain types. 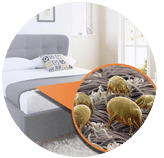 We can radically reduce the appearance of staining on mattresses caused by urine, blood, red wine or bodily fluids through the application of specific treatments to localised areas of a mattress. 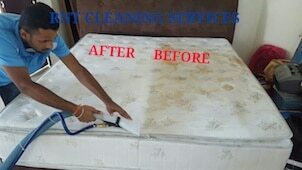 Who will benefit from professional mattress cleaning services? Our professional mattress cleaning services are available for residential and businesses in the Kuala Lumpur and Selangor area. 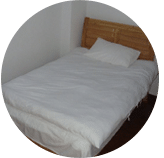 We have found that our services are particularly useful for hotels, boarding schools and hostels, who may require the treatment of many mattresses throughout the year. 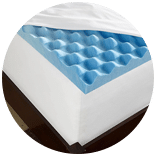 Extending the life of mattresses for business operators can save hotel and boarding school providers thousands of dollars through the extended product life that this service engenders. Please don’t delay in contacting us in order to meet your individual mattress cleaning needs today. 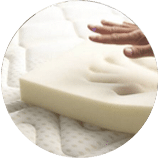 Our customer service team will reply to your request within a few working hours to find out more and discuss further about the professional mattress cleaning service that you require. Subsequently, we will issue you a quotation and an invoice for the professional mattress cleaning service. Our professional mattress cleaning service is available in Peninsula Malaysia from Kuala Lumpur, Selangor, Ipoh, Johor, Malacca and Penang. Speak to our team to enquire more about the professional mattress cleaning service that we provide in your area. I have a special request for the professional mattress cleaning service, can this be done? 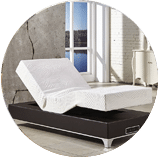 We understand that sometimes our customer have special requests for professional mattress cleaning service with regards to timing and other matters. In this scenario, you can contact our customer representative team at 017-232-6491 to discuss your professional mattress cleaning request.